It’s July. Woo Hoo. Break out the slip and slide and the popsicles. This year, Harrison’s mom called to say he needed some updating. 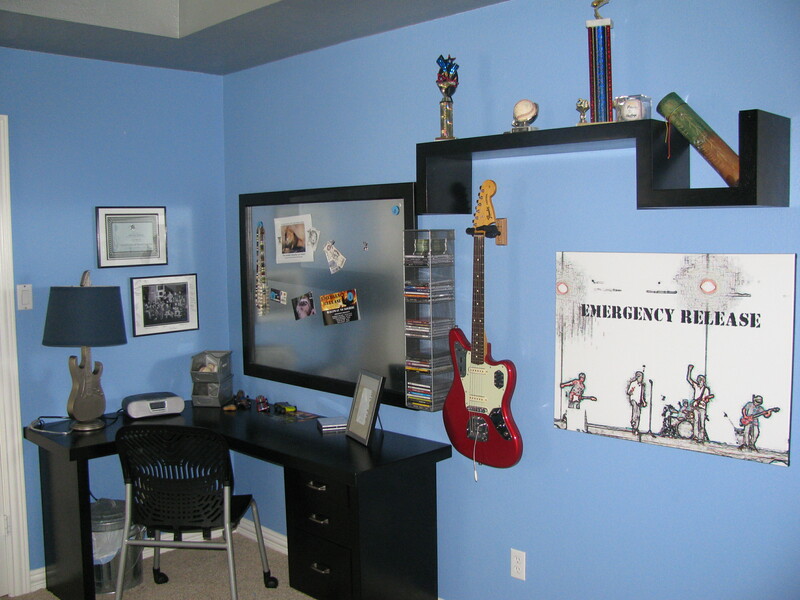 This cool teen wanted a more rocking vibes for his space and mom wanted to deliver while he was at band camp. Where tos start?? The ceiling!! 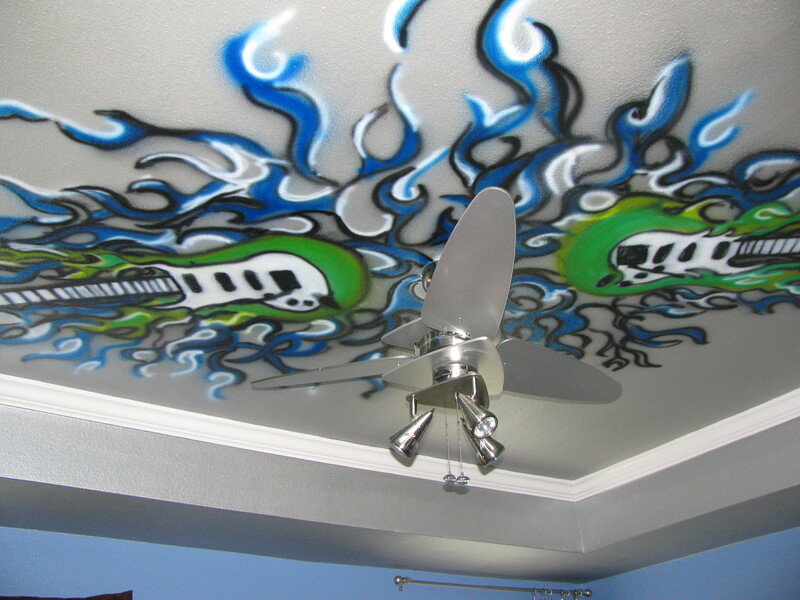 We painted his ceiling a flashy silver metallic and then painted dueling electric guitars with flames (nothing says rock star like flames). 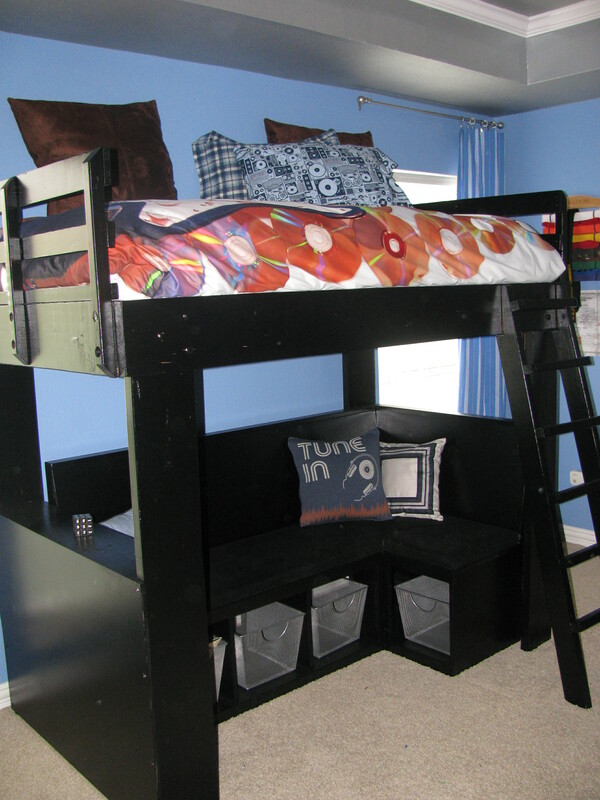 The room turned out totally rad and as a bonus we added some special touches to his sister’s room too!